From Instagram.com : Some clips from today's practice For round two of the @world_enduro can't wait for some racing! Ten years ago today, the most influential viral video in cycling's history was born. Inside we take a look at some e-MTB products on display at Sea Otter from Bosch, Bulls, and Specialized. Check out some more Sea Otter Classic content from Park Tool, Abbey Bike Tools, and Feedback Sports. We first spotted the Trust Message fork last year and have been dying to get a hands-on look at it. 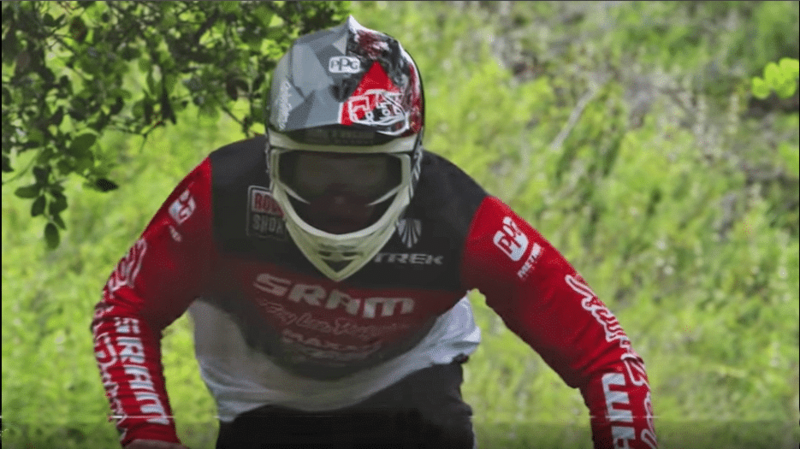 Finally, at Sea Otter 2019, the wait was over. Interestingly, our very own Seb Stott designed his fantasy bike of the future with a rather funky-looking linkage fork. So, how does a version of his futuristic fantasy shape up in reality? Have a break with Yeti: Colorado-based brand launches SB130 Lunch Ride YT has solved the box vs bike bag dilemma with the Body Bag Niner’s MCR 9 RDO magic carpet gravel bike is almost here Trust Message fork design and theory We can’t wait to test a pair of the forks to see if they’re worthy of the $2,700 price tag Ben Duke As the first port of call before reading this article, it’s certainly worth familiarising yourself with Seb’s fantastic bike geometry guide to help you understand some of the terms mentioned below. The Message fork’s party piece has to be its trailing linkage design. A trailing linkage fork means the wheel’s axle is behind, rather than in front of the linkage system. In theory, this means the forks have better stability by preserving handling during suspension compression. The forks cost $2,700! Ben Duke To do this, the wheel’s axle path as the suspension compresses isn’t travelling in line with the fork’s steering axis like traditional forks. Instead, the linkage acts in such a way that as the suspension compresses there’s a corresponding change in fork offset to help maintain the bike’s handling. The linkage design also means the fork can now have a variable leverage ratio like we’ve found on rear suspension systems for years. The Message, Trust claims, has a supple beginning stroke ratio that changes as the fork goes through its travel, hardening to help increase bottom-out resistance. The linkage helps to maintain its caster throughout the fork’s travel Ben Duke The Message’s design also claims to help reduce friction that’s caused by stanchions sliding through seals and bushings. Normally the fork’s moving parts have to do two things — make the fork stiff and provide the telescopic movement to absorb bumps — in order to be stiff they need to have larger diameter stanchions which creates more friction and a less supple action. The forks can take both 650b and 29-inch wheels and have a 535mm axle to crown length Ben Duke Trust has separated these two attributes. The linkage provides the movement of the suspension and the fork’s chassis helps with structural stiffness. Trust claims that this helps to improve the feel of the fork. Another benefit, Trust claims, is the fork’s ability to resist diving under braking, which helps to maintain the bike’s geometry and therefore improves your ability to control the bike. Although this isn’t a mechanical ability to resist dive, ‘anti-dive’ is created by the fork’s leverage ratio. Trust Message fork details and specs There’s a pushrod attached to the trailing linkage to actuate the fork’s damping and spring Ben Duke The forks have 130mm of travel, weigh a claimed 1,980 grams, are constructed from a carbon fibre chassis and have a carbon steerer tube and linkages. They’re compatible with 29-, 27.-5 and 27.5+-inch tyre sizes and can accommodate up to 2.8-inch wide tyres. They’re best suited to 29er frames with between 110 and 140mm travel and 650b frames with between 130 and 140mm of travel. The fork’s got plenty of tyre clearance Ben Duke They use 15X110 Boost axle spacing and are compatible with tapered head tubes. There’s a 180mm direct mount brake system, but with an adaptor it’s possible to run a 203mm rotor. The damper has a three-way adjustable compression lever which means you can run the forks in firm, mid or open modes depending on what or how you’re riding. The fork’s air pressure (in PSI) is set up on a one-to-one basis with your weight in pounds. Simply weigh yourself with your riding kit on and input the corresponding amount of pressure. There’s a small peephole on the side of the Message fork so that you can adjust the medium and open mode settings Ben Duke Both the open mode and mid mode have finer compression adjustments that are located through an access port on the side of the fork. The forks chassis, steerer tube and linkages are made form carbon Ben Duke The forks also have a token-based bottom-out resistance tuning system called ‘Huck Pucks’. It’s possible to add up to six tokens to adjust how the fork behaves towards the end of its travel. But it’s important to include the same number of Huck Pucks in each fork leg. We’re hoping to get a set of forks in to test in the near future so stay tuned for a full review. Troy Lee Designs' namesake — the man, himself: Troy Lee — puts his paintbrush to customers helmets in the pits while TLD groms and pros take to the track at Sea Otter 2019 The post Video: See Troy Lee Paint and Pros Race at Sea Otter appeared first on Mountain Bike Action Magazine. Ten years ago today, the most influential viral video in cycling's history was born. The post A Decade of Danny appeared first on BIKE Magazine. 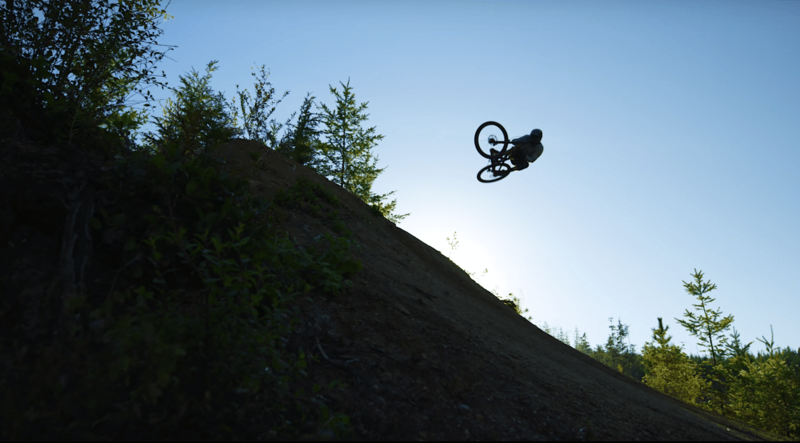 Howey put in some serious shovel time last spring and built a couple of step downs, a massive hip, and a few hundred metres of fresh singletrack just for the video The post Video: Rain or Shine appeared first on Mountain Bike Action Magazine.